Spring 2019 registration at various locations! 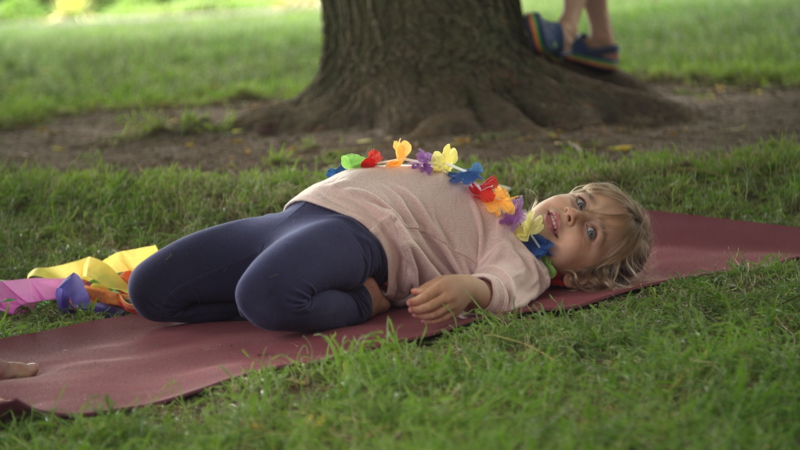 YOGA SPRITES ALIGNS SESSIONS BY AGE AND GRADE TO REACH CHILDREN AT EACH MILESTONE DEVELOPMENTALLY. We introduce our children to an intangible value of understanding, that the practices they form as children, will fortify their mind and body for years, and decades to come. We are enabling our children to be present, resilient, healthy students in a state of optimal wellness! 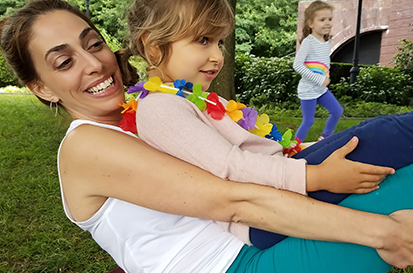 Learning how to access personal body calm within, and understanding muscular memory our bodies possess, enables children to take pride in proactive healthy growth and development. I like the mantras. My favorite mantra is 'i see the light in you and you see the light in me'. Christina makes yoga fun. Christina is incredibly patient and encouraging. It amazes my husband and I to watch our son calm and cooperate with her gentle yoga teachings. 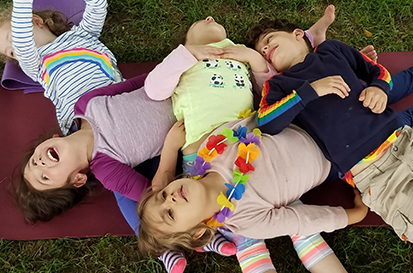 Our empathic approach to elevating and illuminating our children for best, is brought on by our proactive, stimulating, positive nature!It is a privilege for Yoga Sprites creators and teachers to convey this influence on children. We are integral… And from this, we nurture and thrive in our efforts. 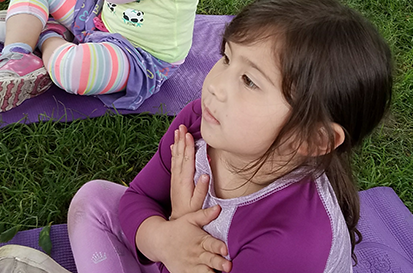 Yoga Sprites was borne of the desire to provide our community’s youth with an empowered and confident experience while learning and developing, using yoga & mindfulness.